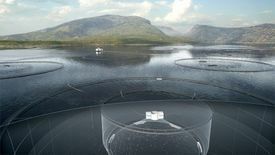 Illustration of the concept iFarm, where the target is individual-based salmon farming in the sea. Source: Cermaq. 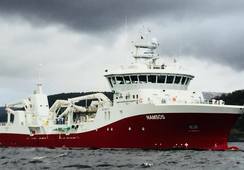 Initial tests have been completed by Cermaq on its radical iFarm concept for individualised fish farming, which the company believes will address many of today's challenges with digitalisation in aquaculture. 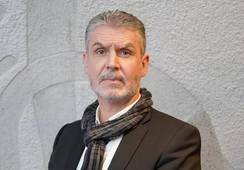 Harald Takle, research and development manager for farming technology in the company, says that the concept is unique in several ways, while it also has several challenges. Fish are kept at a deeper level than in a conventional cage, which also keeps them below the lice-belt in the sea. Each time a fish surfaces to fill its swim bladder with air it must pass through a tube containing a device that detects and recognises each individual fish, and reports any irregularities. Fish with disease, lice or other issues can easily be taken out of production. The device uses several cameras, and the geometry and design of the tube will be optimised for image recognition. 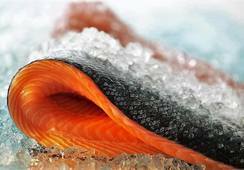 The company Biosort is behind the technology for image recognition and sorting fish out of production. As Takle see it, two challenges must be overcome to allow the iFarm to work on a production level. "The first is how the system components will adapt to the fish's regular and daily behaviour, and thus fit in with their natural logistics in the cage," he says. The second challenge is how to transfer the algorithms of face recognition used by the likes of Google or Apple, to develop functioning machine learning-software using image data. Not only will the system recognise a unique ID pattern of a fish, but it should also be used to identify diseases. "Some items will be easier than others, such as ulcers and deformities. It gets harder with more diffuse disease and behaviour change," says Takle. The challenge of getting the system to work is to take enough pictures to train the algorithms. Takle points out that they really need several million images of unique fish. The iFarm concept in the sea. Photo illustration: Biosort / Cermaq. "Google has used around 200 million images, and eight million unique individuals to get their image recognition algorithm to work with an accuracy of 99.6%. Apple has used around a billion photos to get to iPhone X," he says to present a comparison. If the precision of the system is poor, and error reporting frequent, it may result in a system that's not worth adopting. 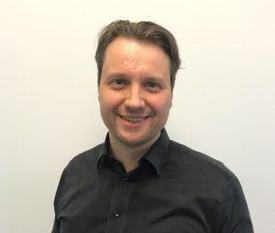 "We have to train the system to guarantee sufficient precision, so here it becomes important with the interaction between hardware image recognition and software algorithms," says Takle. The system must also be stable and be able to function in all type of weather and at the same time be submerged. The development will therefore require a lot of testing, iterations and troubleshooting. 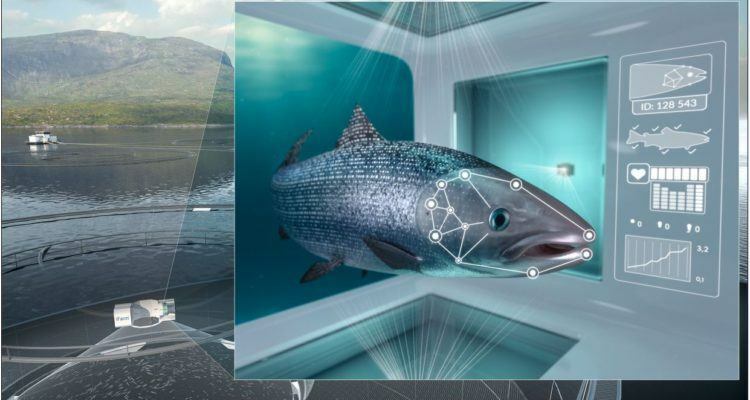 Until now, Cermaq has carried out pilot work to explore the geometry and dimensions of the device, and study fish behaviour in interaction with components. "We saw that the salmon went up for air every fourth day. But this is a small-scale experiment in shallow cages. When the cages are deeper, I would think they'd go up more often. To test the device on fish behaviour in large scale, we need to run full-scale tests," says Takle. In addition, it needed several attempts to find out more about the camera and where to place light sources, in order to take good enough pictures. "We have to train the algorithm to see lice, and differentiate lice from fish. It is an advanced mechanical device, which must not stress the fish, and which must also be tested." But although there remains a lot of development to be done, Takle points out that they have received positive results at small scale that indicate the concept is feasible. "The plan is to start the project at the latest in 2019, which will then have a development cycle of six years." A secondary effect of the system is the amount of data provided, not just about the fish, but also connected with the environment, such as temperature, salinity, algae and lice data. Takle also points out that by following individual fish, there is only the need to treat a sick fish, or a fish that actually has lice. "There are a small number of fish in a cage that have lice. By taking these out of production, and treating them separately, there is a reduction in the loss of fish in the treatment and in the use of the drugs and chemicals. "The same applies to illness, where we can more easily remove carriers from the cage. We estimate to reduce the losses associated with this by 75%," he says. By providing control of the biomass, feed consumption can also be optimised by being adapted to a real appetite. This reduces wastage and gives more accurate information to the slaughterhouses, considering the actual size of the fish.